A few months ago, I gave my brand new interior paint sprayer a try and fell in love with it. 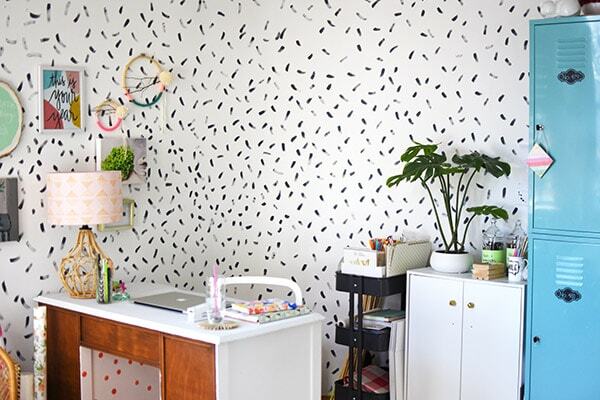 Then, I finally got around to sharing how I created this fun brushstroke painted wall. 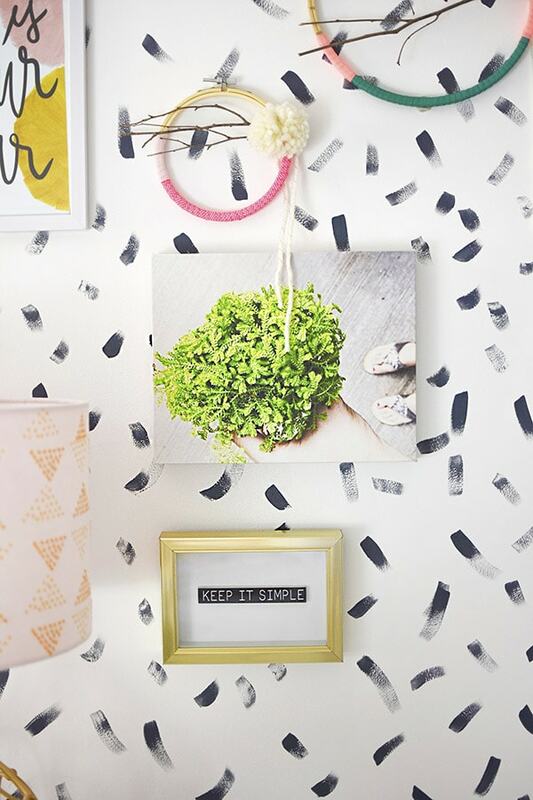 And today I am wrapping up this little three part post with the final touch, How to make a creative Office Gallery Wall in just a few steps. 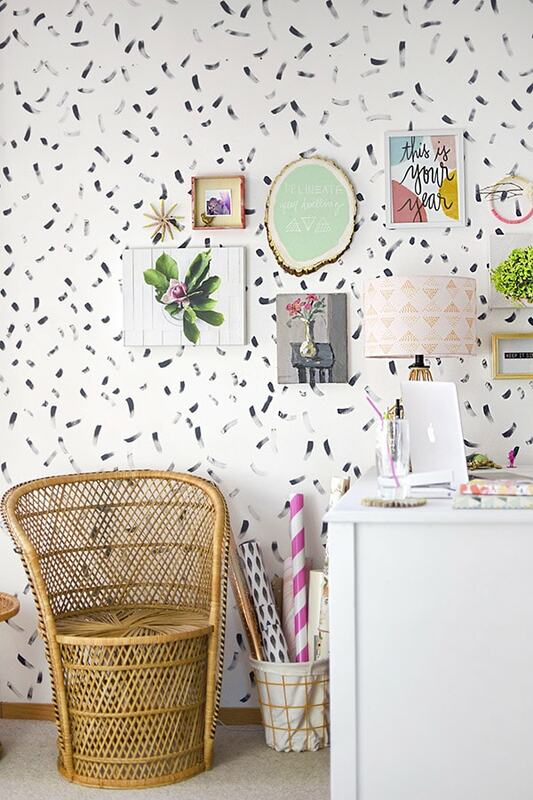 The first thing I believe you need when creating a gallery wall is collecting unique and interesting items for your wall. I like to pair photography prints, with paintings and then mix in some non-traditional pieces. I included a clothespin starburst, a chalkboard tree slice I made forever ago, my embroidery hoop wreaths and a mini marbled shadow box (DIY post coming soon). Now get ready. 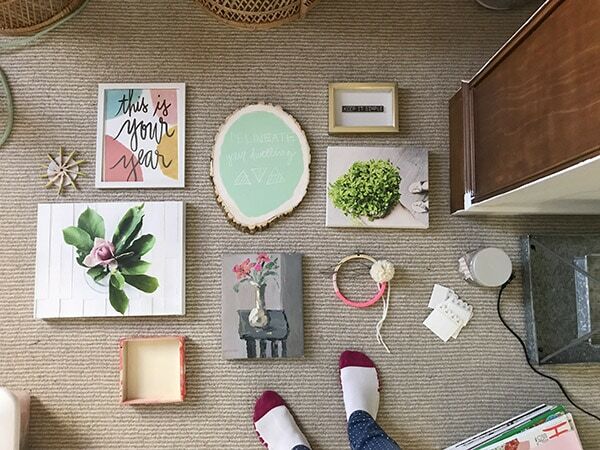 This is my secret to the best creative Office Gallery Wall layout… drum roll! 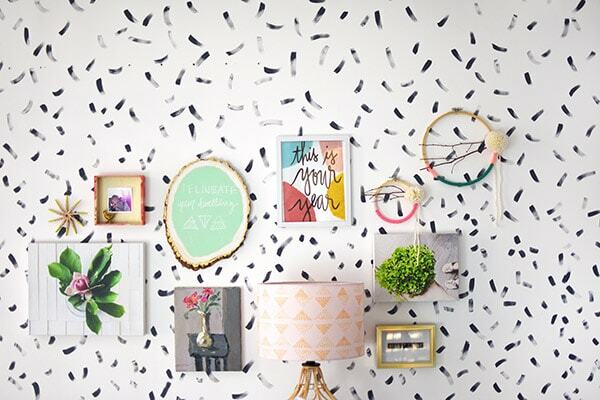 Take a picture of your wall and then take a picture of all your gallery wall items/pictures. If you have photoshop or another photo editing software, bring those images in and move around as needed until you find your perfect design (this is what I have shown below in photoshop). 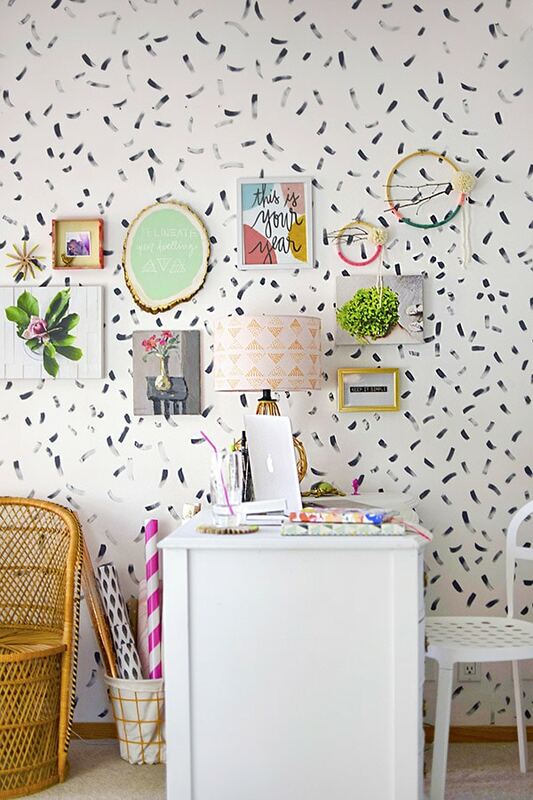 If you do not have any photo editing software, you can still easily create a gorgeous gallery wall. All you need to do is still take the above pictures and then print and cut them out. You can move each piece around manually and see what layout looks best to you. Once I had the layout of my gallery wall finalized on the computer, I kept the image open and started to hang each piece up, one by one. Checking in on your plan and design regularly as you go, helps to keep all of your items in the right spot! I was so excited to see this space really taking shape and have so much personality! 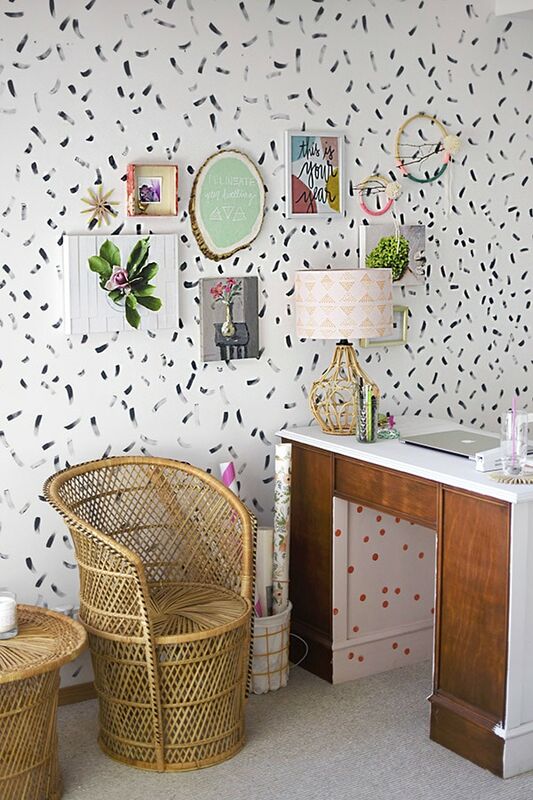 I loved incorporating the pink and orange lamp shade INTO my gallery wall. It really becomes part of the wall display, which I think is too fun. 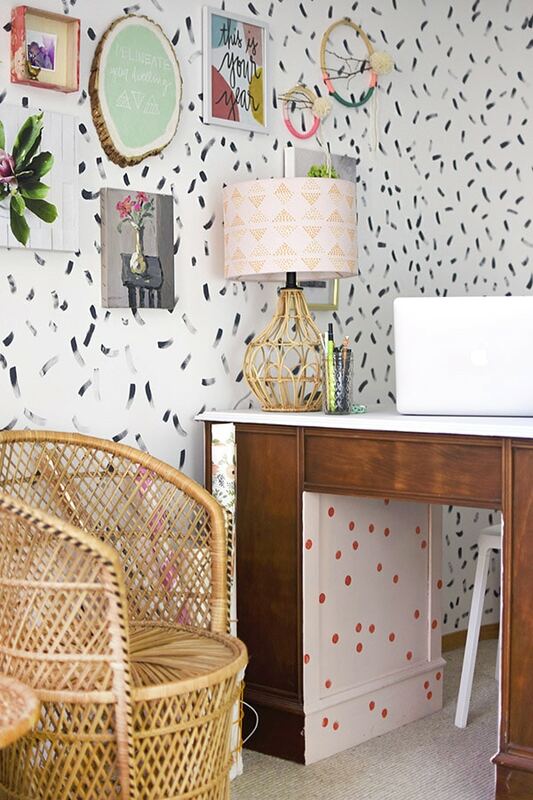 While I am talking about my office, I guess it’s a good time to share that I took a VERY old and outdated desk, painted the front and top white… and the inside got a pink and orange polka dot. Because, well can there ever be too many patterns really? Also, it’s like a hidden secret that you don’t notice right away and I love that. 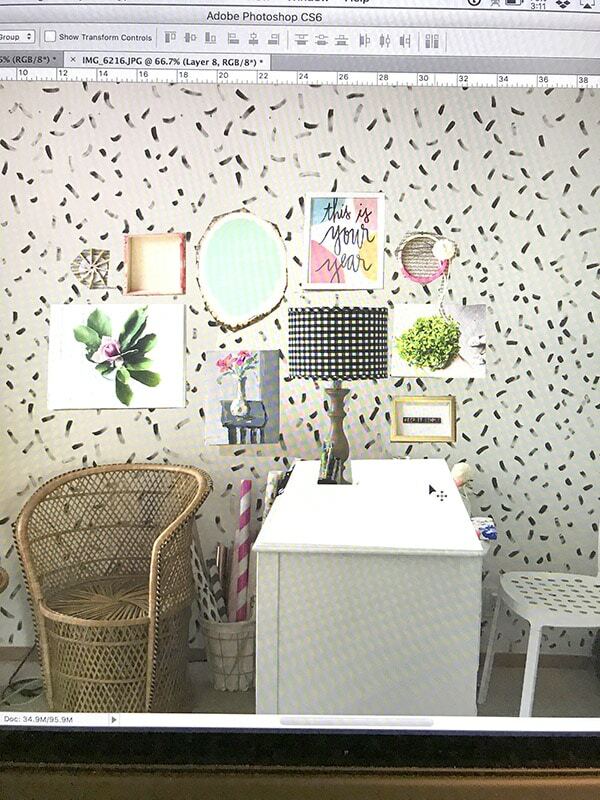 My Mixbook canvas print of the first fern I bought when we moved to the Midwest makes me so happy each day as I sit at my desk! And although I’m not a bug lover… this gold beetle won me over immediately! This room is a lot. A lot of color. A lot of pattern. 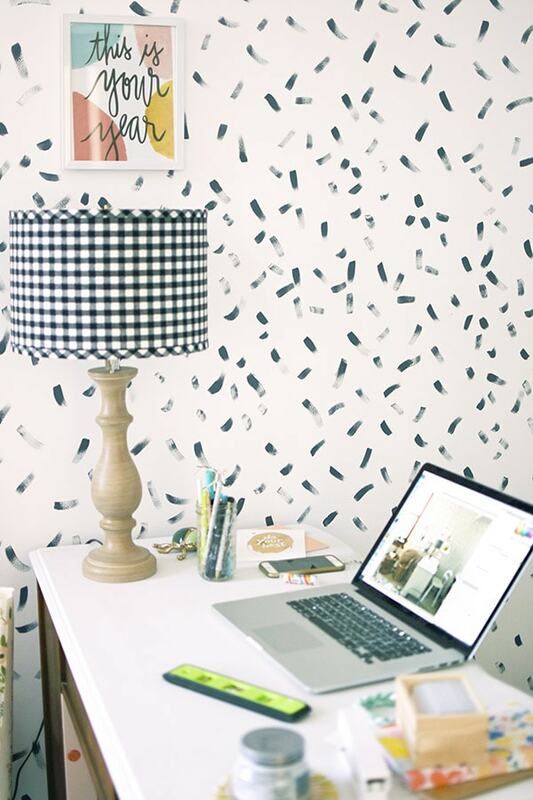 I would not probably do something this bold and whimsical in my living room, but my office is the perfect place to have fun and live a little! My brand and aesthetic embraces making spaces that reflect YOU and each day when I work in my office, I smile. Mission accomplished. Turned out so good. 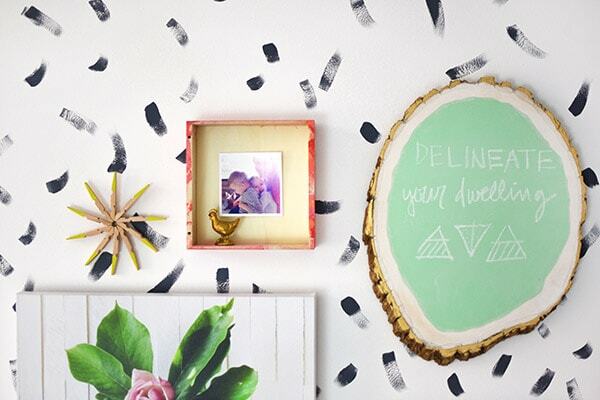 Thanks for sharing this gallery wall DIY tutorial. I’m glad you enjoyed it, Joanna!